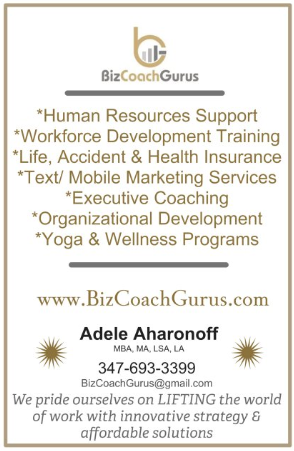 BizCoachGurus is here to Trust, Teach and Transform the world of work! 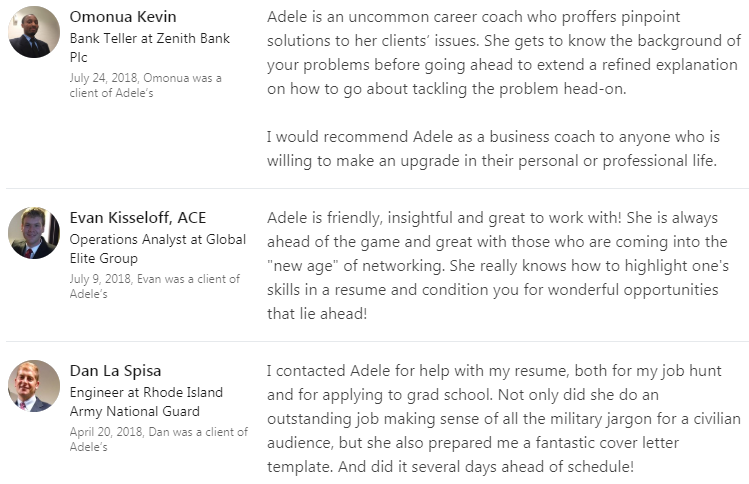 "Adele has been a tremendous asset to my business. She gave me the push I needed and inspiration I needed to open up my dream store. 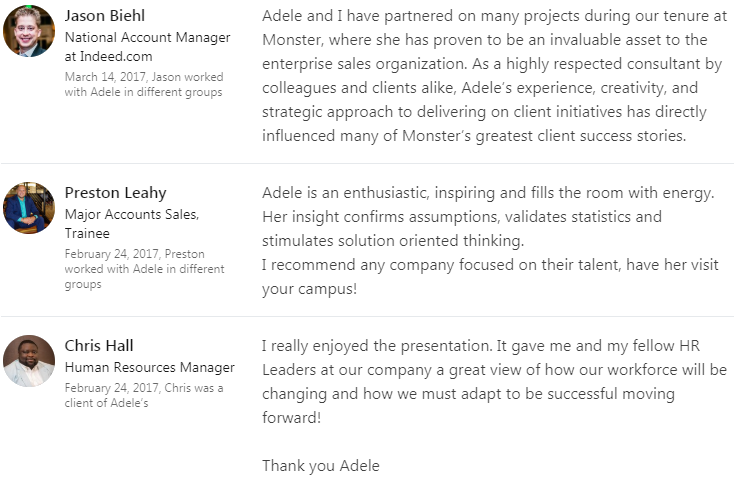 I am forever thankful and attribute my gratitude and my success to her inspiration and coaching"
"Adele rewrote my resume and helped coached me through an incredibly intense recruiting process! Can’t say enough good things about her services!" "I can't say enough about Adele and what she has to offer. 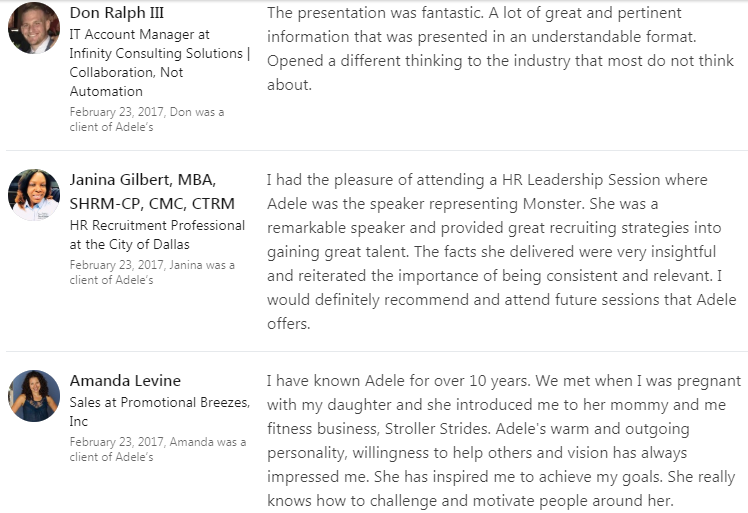 I met Adele when I was unsure of my path, both personally and professionally. I truly feel like if it weren't for her guidance and continued support I would not have embarked on the journey that led me to my personal and professional best. I am now a certified yoga instructor and I owe so much to Adele for guiding me down this path." ​WE'D LOVE TO SEE YOUR TESTIMONIAL HERE ONE DAY TOO! FOR A FREE CONSULTATION, PLEASE SUBMIT THE FORM BELOW.